LLC is about to break my heart and move to HAWAII. That’s right – she’s leaving scarves and tights and snow behind for good (or at least for 5 years), and moving to the land of beaches and palm trees and summertime all the time. Needless to say, this is scary/exciting for her and profoundly sad for me. But despite all the wonderful things they have in Hawaii (waterfalls! surfing! spam! ), I have to wonder…do they have fresh fall pears? Chilly mornings to enjoy hot cups of coffee and breakfast pastry? The forgiving cover of sweaters so you can enjoy said pastry guilt-free all winter? Maybe…but probably not. So until she leaves in a couple weeks (aka “The End of the World”), we need to fit in as much wintry awesomnesss as possible. 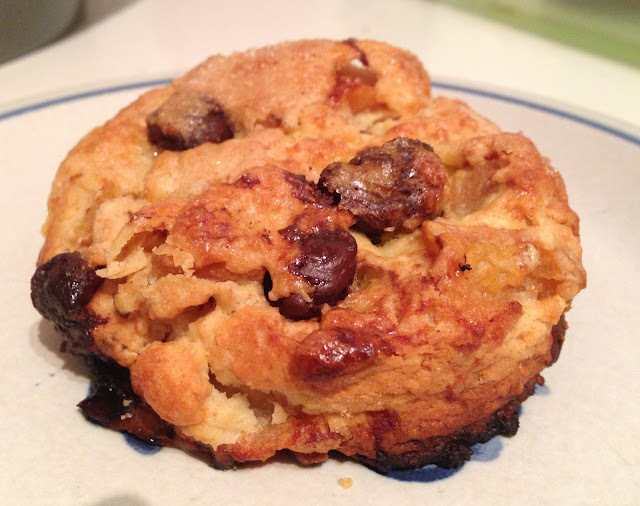 Here’s what LLC recently made, in celebration of all things winter: Roasted Pear and Dark Chocolate Chunk Scones. SO GOOD. I usually play the hostess in our group of friends. They come over, I make something for dinner (veggie bowl o’deliciousness anyone? This time it was a kale and radish salad with toasted pecans, blue cheese, and garbonzo beans), and LLC brings dessert. It is an excellent arrangement. Scones as dessert? you may wonder. 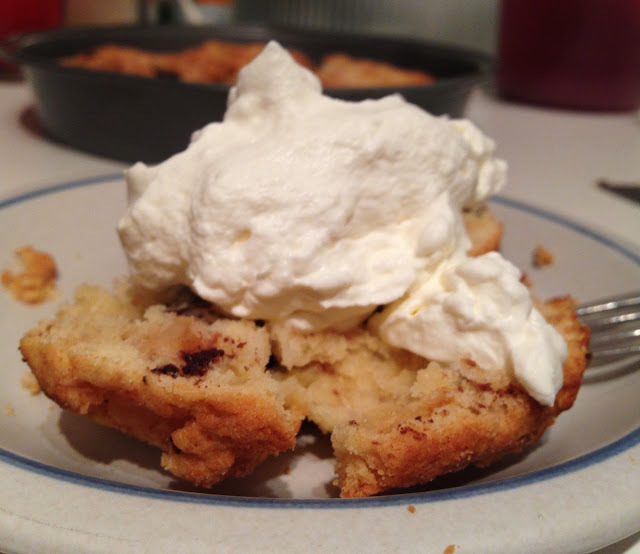 Double the chocolate chunks, top them with fresh whipped cream, serve them like shortcake, and ummm yes scones for dessert. Nothing in this world is better than fresh whipped cream. Nothing. Oh hello chunk of roasted pear! (Adapted from Smitten Kitchen.) Printable recipe. 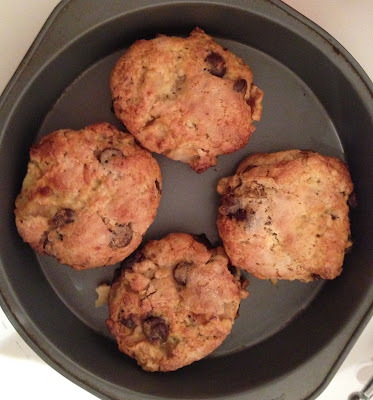 Makes 6 generous scones; you can absolutely make these a bit smaller and reduce their baking time accordingly. Heat oven to 375°F. Peel and core pears and cut them into 1-inch chunks. Line a large baking sheet with parchment paper. Arrange pear chunks on parchment and roast until they feel dry to the touch and look a little browned underneath, about 20 minutes. Slide parchment paper with pear chunks onto a cooling rack (or onto a plate in the fridge or freezer to speed this up) and cool to lukewarm. Leave oven on. Line baking sheet with another piece of parchment. Whisk flour, baking powder, sugar and salt together in the bowl of an electric mixer (or in a large mixing bowl). Toss in cooled pear chunks, bits of butter, heavy cream and 1 egg. With the paddle attachment, mix the dough on low speed until it just comes together (or do this with a spoon/your hands). Don’t overmix. Add the chocolate chunks and mix for 5 seconds more, or until evenly mixed in. On a very well-floured counter, shape dough into six round scones. Transfer to baking sheet at least two inches apart. Whisk remaining egg in a small dish with 1 teaspoon of water and a pinch of salt. 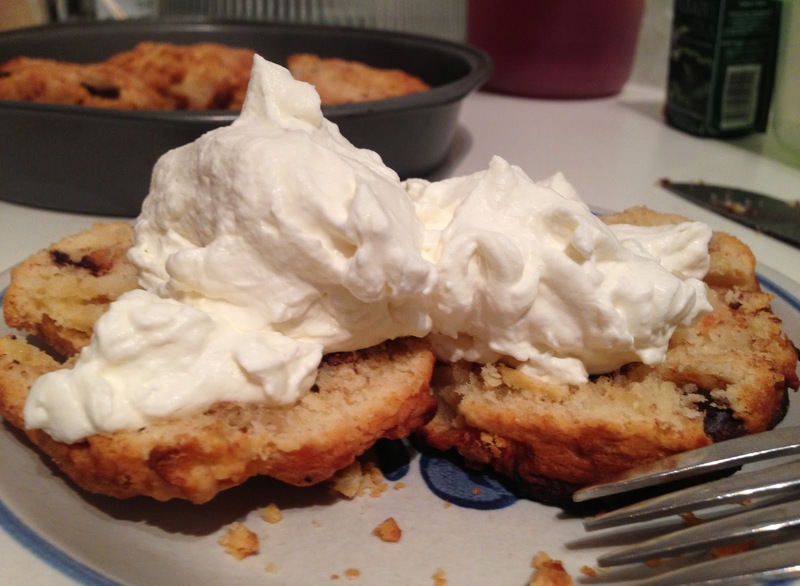 Brush each scone with egg wash and sprinkle with remaining tablespoon of sugar. 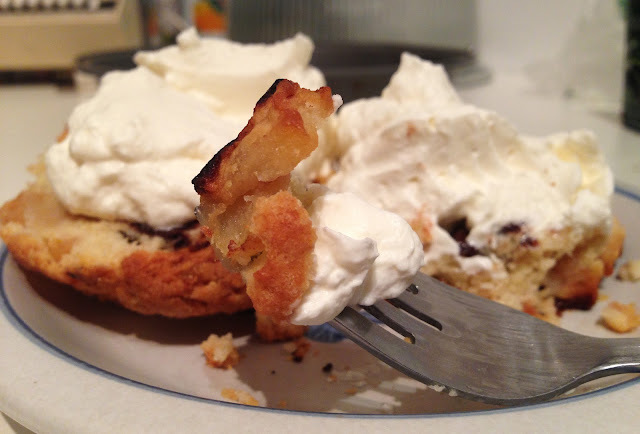 Bake scones until firm and golden, about 30 minutes. Transfer to a cooling rack.